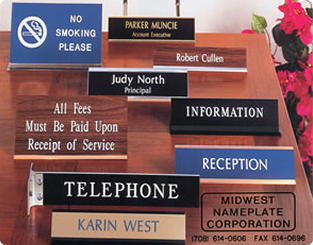 Midwest Nameplate has been manufacturing quality signs and engraved nameplates since 1988. 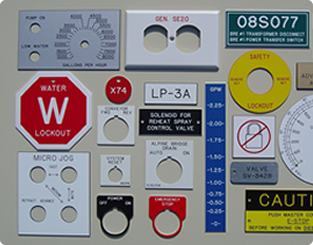 As previous owners of a manufacturing company, we recognized the need for quality identification for our products. 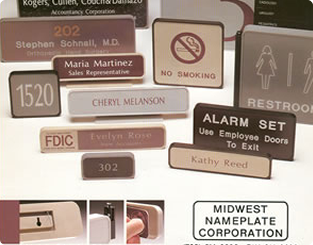 Midwest Nameplate was formed to be a specialist in identification for machinery, instrumentation, and electrical equipment. 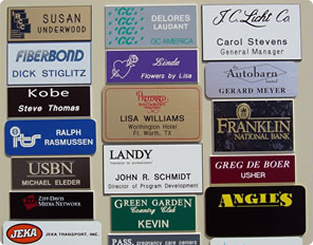 Within a short time, we expanded our product line to include office and commercial signage along with custom name badges. 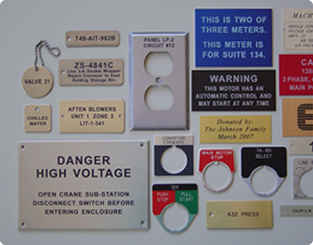 Our main methods of manufacturing include computerized engraving and laser engraving. We pride ourselves on product integrity, competitive pricing, and uncompromising service. 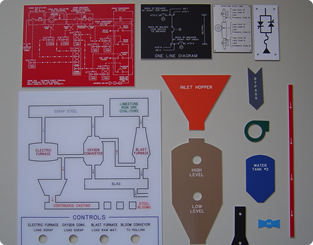 Whether you order electrical panel tags, office signs or intricate graphics, we use the same stringent quality control methods. As you browse through our pages, you will see a sampling of our products. If you are unable to find what you are looking for, please do not hesitate to contact us for further information. We look forward to the opportunity to assist you.